Today, August 12, is World Elephant Day! World Elephant Day focuses on raising awareness to help elephants. African and Asian elephants face many threats including poaching, habitat loss, human-elephant conflict, mistreatment in captivity, and more. 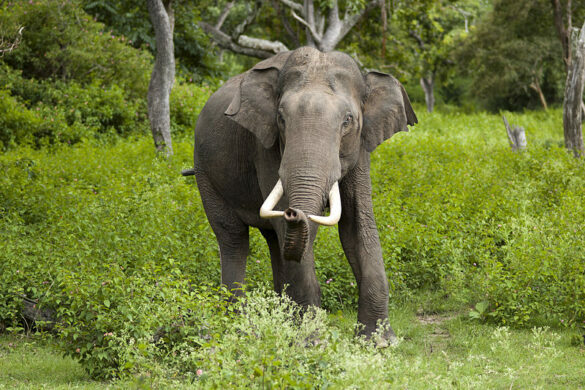 Participate in eco-tourism whose operators treat elephants with respect. Boosting Africa’s economy through eco-tourism helps placate local residents who view elephants as pests. Never buy, sell, or wear ivory. Encourage the ethical treatment of elephants in captivity. Boycott circuses, whose unethical treatment includes chaining elephants up by their feet and trunks, as well as beating them frequently. Urge zoos to create environments similar to African elephants’ native habitat. 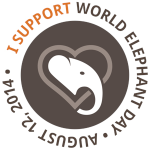 See the World Elephant Day’s page, How to Help Elephants, for more ideas. 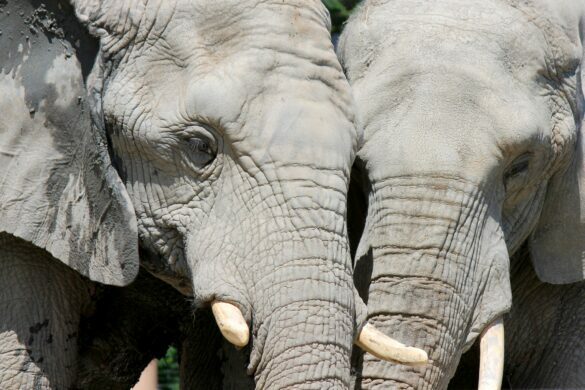 Watch a cute and informative video about how elephants communicate with each other as they play. Elephant biologist and conservationist Joyce Poole and her husband, Petter Granli, founders of ElephantVoices, created the video. Poole interprets and explains the elephants’ behavior as they interact. 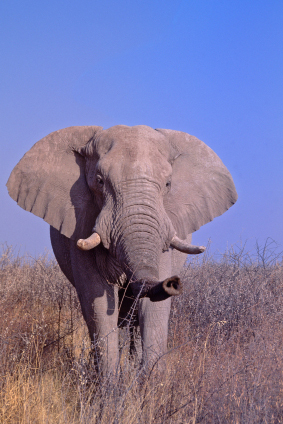 To learn more about African elephants, see our African elephant facts page.